There are a many cut and come again crops that are a great addition to any garden. In fact, most herbs and salad greens benefit from a good cutting back every few weeks. Arugula is one of those greens. In fact, the longer you let Arugula go, the tougher and more bitter you crop will be. The best Arugula for salads are the tender, baby ones. No worries if you let a plant get away from you, can find the baby leaves on more mature plants on the stems closer to the roots. 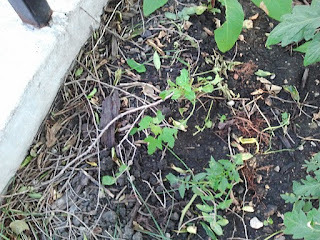 But if you need a lot of tender leaves for your summer salad obsessions, it is best to keep cropping them as it grows. Arugula is a wonderful self sowing plant as well, meaning that if you do let it flower and release it's seeds, it will grow pretty regularly. My father has an Italian varietal (of course) which he lets just grow like crazy against his fence, and it just comes in more and more thickly every year. 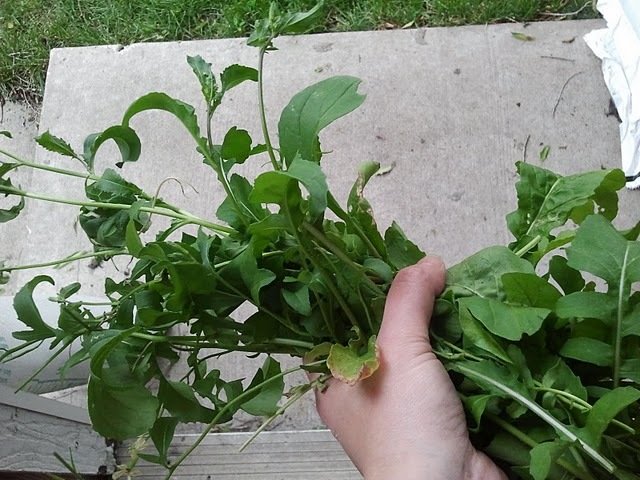 I have not had as good of luck in my past Arugula endeavors, on account of "city-wise" bunnies. But this year was the first year I magically had a crop, and I did not know what to do with it. And because of that, my plants got away from me. 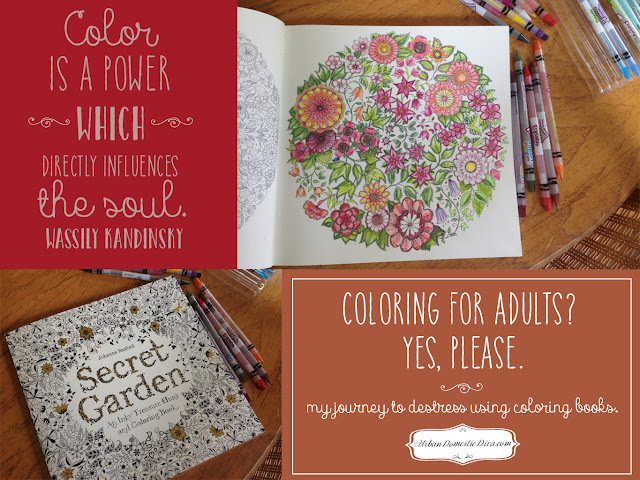 Yes, my plants grew and grew and flowered. At that point, I had a lot of mature, bitter leaves, and some smaller baby leaves, and flowers. After consulting my father (the Arugula guru) and doing quick research, I took the pruning shears and went to town. First, I trimmed off any flowers and threw them in the ground around the plants for future propagation. Then, I started with the tallest stalks and cut them from about 2 -3 inches from the ground. Take your harvest and put it in a basket. Working from the center, I pruned back the leaves and smaller stalks around it about the same height. 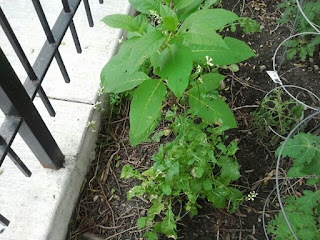 You will have a mix of broad leaves, stalks with a mix of smaller and bigger leaves. Just cut away. You will need to make sense of it in the kitchen. 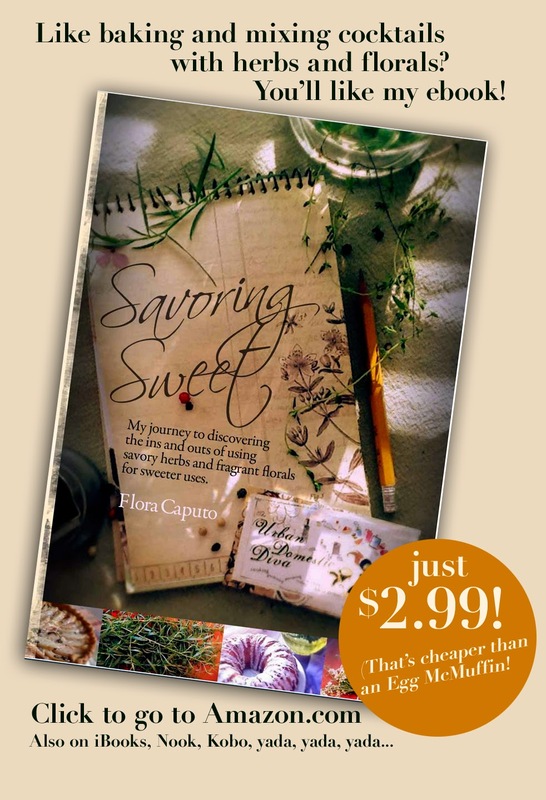 Place your harvest in the basket. What you have left is a small, leafy mound about 2-3 inches high. Hit it with some fertilizer after cutting to start new growth. Keep the cycle going. I plan on cutting mine back sooner-pretty much before flowering next time, to make a nice salad. The mature harvest in the picture up top I used in a pesto which I will post later today. I felt the leaves were going to be way to tough and bitter for a salad this time around. Throw some Arugula seeds in the ground yourself and let the magic begin! my yard is overtaking with arugula, what can i do to stop t?? My arugula just recently got away from me (I'm new to this) and I found this weekend that it's flowering - boo!) Does that mean it's done (as in too spicey and bitter) or do you think that by using yours and your father's methods of pruning mentioned in your article, that I can get it to grow and become less bitter over time? It's just a small patch so I'm open to just pulling the plant and replanting but thought I'd do some research and ask a few questions before I go that route. I would try and just cut it back. 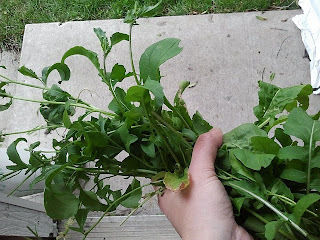 Though I know some arugula is more bitter than others, the best way to get sweeter arugula is to snip off and eat the baby leaves versus the tougher, bigger leaves. Letting the arugula flower will cause it to propagate and mature the leaves as well. So keep it trimmed down. The best arugula are the baby leaves. So that means cutting often!